Clogged Drains in Gilbert, AZ are a serious matter. Whether it is in the bathroom or the kitchen, clogged drains slow down cleaning efforts to a grinding halt. They also leave behind undesired, potentially contaminating germs. What’s a homeowner to do? 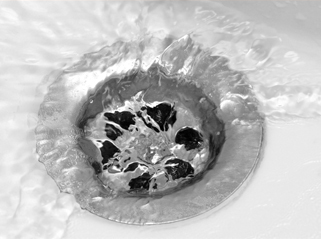 Professional plumbers should be consulted for drains requiring quality service, speedy responses, and clear results. Before you pick up the phone, it’s important to know the warning signs of a situation calling for drain cleaning. Water backs up out of the sink drain. Water starts pooling around shower drains. Pooling water drains slower than normal. Water in toilet bubbles while using the sink. Gurgling sounds coming from the drain (most likely after running washing machine or dishwasher). Water begins pooling on floor near the bathtub or a sink. A scent of rotting food coming from the kitchen sink area. Now that we know what to look for in Clogged Drains in Gilbert, AZ, how do we stop it from beginning in the first place? Two words. Preventative maintenance! This is the easiest, and cheapest, method to making sure your home plumbing system remains hassle and clog free. While there will be times when a simple DIY fix will do the trick, can you tell when it’s time to call in the pros? Professional plumbers can clear any obstructions and double-check your pipes to make sure there isn’t a bigger issue. Plumbers can keep a minor inconvenience from becoming a full-blown catastrophe. Plungers and liquid chemical cleaners may work for small blockages, but there will be times when even those tried and true methods are not enough. Drain cleaning by a professional plumber includes powerful tools and expert knowledge that you may not possess yourself.